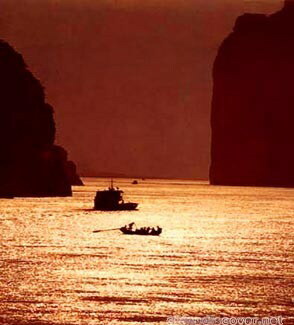 Trip highlights: Splendid Yangtze tour takes you to cities as Beijing, Xian, Chongqing, Yichang, Shanghai, enjoy the finest examples of China natural history and beauty during your travel in China. Continue city tour in Xian. Later today you will be transferred to Chongqing by air. 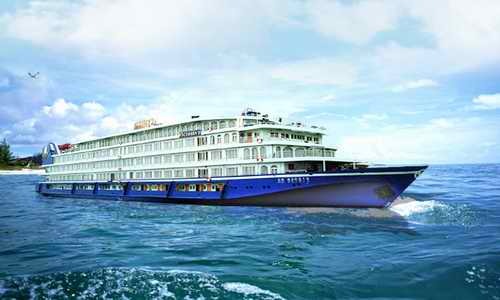 Chongqing Airport to Cruise pier transfer, board the ship from 5:00pm to 8:00pm and departs Chongqing at 10:00pm. 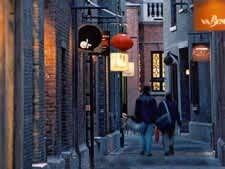 [ Optional ] Ciqikou Ancient Town: Ciqikou Old Town was once the home of many of Chongqing's rich merchants, where you can still see lots of Ming and Qing dynasty architecture, local shops, tea houses, local Sichuan street performance and so on.. Arrive Fengdu in the morning. Shore excursion to Fengdu Ghost City (08h00-10h00). [ Optional ] Qutang Gorge: With vertical cliffs of some thousand meters high as its two flanks, the Qutang Gorge is only a few dozens of meters wide just like a narrow gateway. The surging Yangtze River pours into the gateway with great momentum. Looking up towards the tops of towering precipitous mountains along the Gorge, one sees from a boat only a narrow strip of clouds and sky, but under foot the River tears on violently. Sailing through the beautiful Wu Gorge. Shore excursion to Lesser Three Gorges or Shennong Stream(08h00-13h00) or (13h00-17h30). 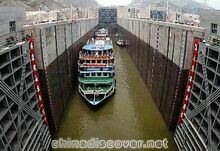 Sailing through the shiplocks and the shiplift of the Three Gorges Dam. 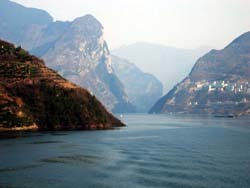 Shore excursion to The Three Gorges Dam Site (08h00-10h00). Arrives in Yichang at 1300, pickup by our reprentative at the dock and transfer to airport for your flight to Shanghai. Airport/hotel transfer in Shanghai. Free time for the rest of the night. 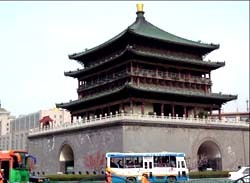 Visit Yu Garden, the Bund, Nanjing road, Shanghai Museum, Jiangnan Silk Museum.